All Strassburger patio doors have a common characteristic… quality craftsmanship that translates into performance that’s built to last. 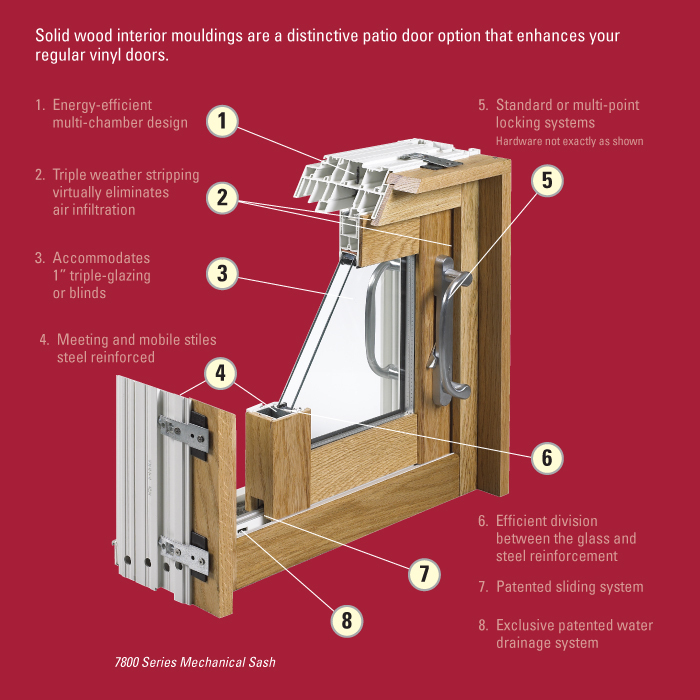 The most innovative and popular patio door systems. 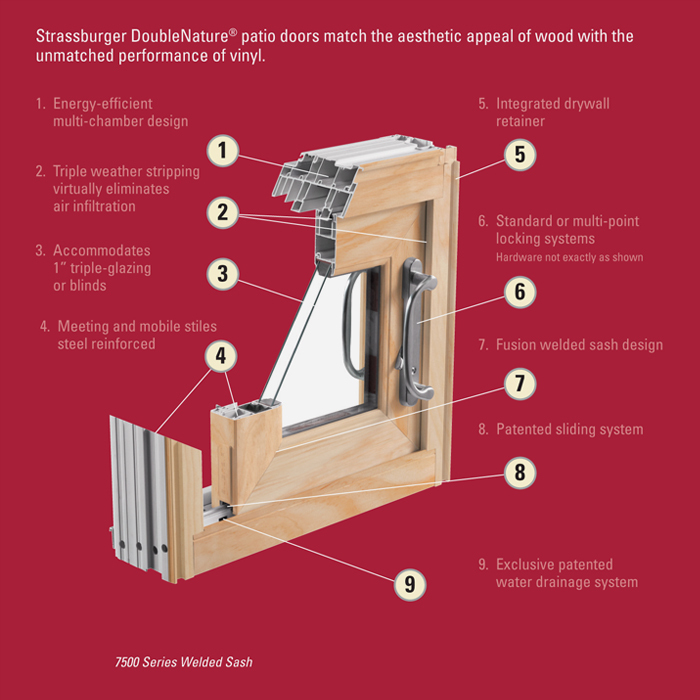 The Strassburger patio door series is often imitated but never duplicated. It opens up the future to a new generation of premium-quality all PVC doors with a host of outstanding features and benefits. 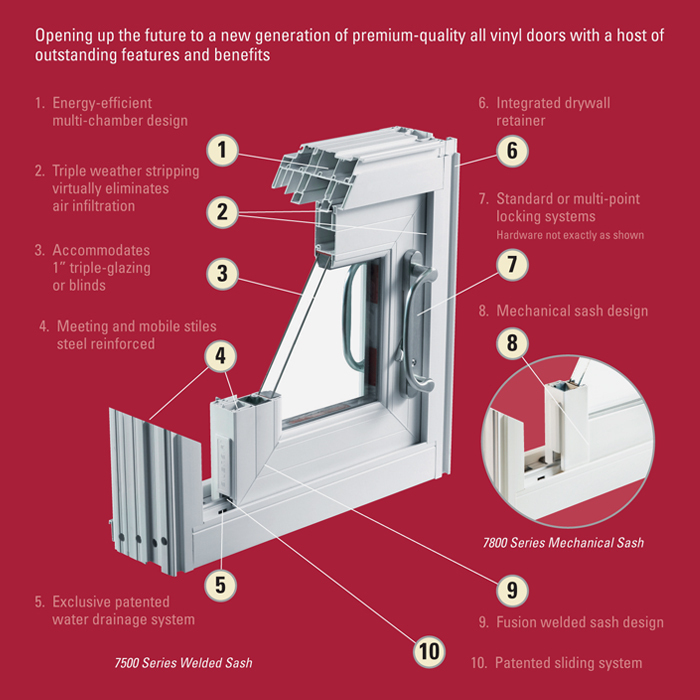 Available in either a mechanically fastened (7800 Series) or welded (7500 Series) sash design. Standard colours are solid white or beige, or choose from a variety of outstanding custom colours. 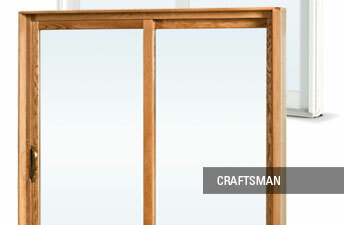 Craftsman Series interior wood patio doors (7800 Series) combine the natural beauty of hand-crafted solid wood interior moldings with the total performance of PVC. The warmth and elegance of interior wood can be combined with a variety of standard or custom exterior colours to perfectly integrate your doors with your architecture. 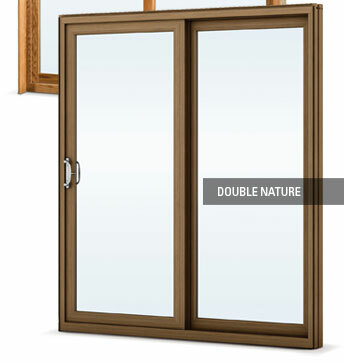 DoubleNature® Stained Vinyl patio doors (7500 Series) add a natural elegance to your home’s exterior and a rich, warm complement to the interior. Choose from four exquisite factory applied stains that work well with any home’s palette and are easy to maintain. Available in 2, 3 and 4 panel configurations with a wide range of energy-efficient glazing options and decorative grilles. 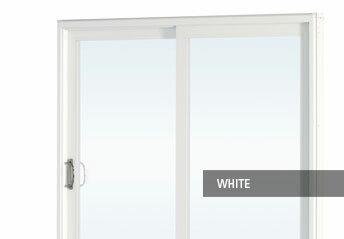 Standard 2-panel patio doors are available in 5′, 6′ and 8′ widths with two height options. Custom sizes are available upon request. Beautifully designed sliding patio doors are nothing without proper specification and professional installation.To find a Strassburger Windows and Door Certified Dealer in your area call 519- 885-6380 or send us an email.